You won't want to miss Friday night (June 9) of Heritage Days featuring Lloyd Wood at the Linn Park Amphitheater. This event is being sponsored by The City of Martinsville. It will be a great, fun, family-oriented evening of country music, comedy and impersonations. Great food provided by local establishments--Miss Barlow's, Sadies, Sweet Norma Jean's and the Wood-fired Bread & Pizza Company will be available for purchase. There will also be free barrel train rides for children. 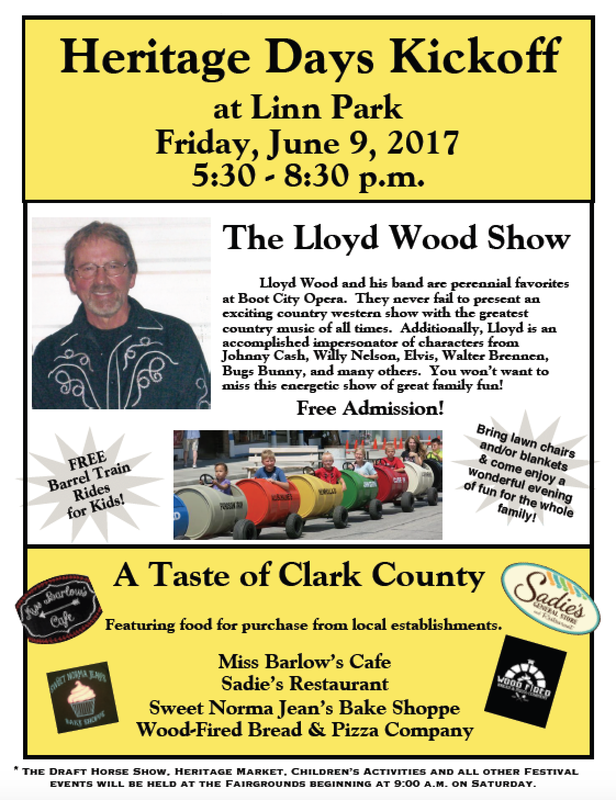 So bring your lawn chairs and enjoy a wonderful evening!